Caffeine In Coffee - Good or Bad For Health? An espresso generally has lower caffeine content, about 50 mg per shot, while a cup of drip coffee easily contains as much as 200 mg of caffeine. This indicates that there is plenty of variation. 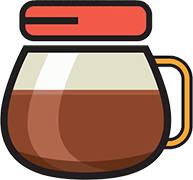 An average coffee cup usually contains around 90 to 100 mg of caffeine. In the absence of strict guidelines and lab tests, it is quite tricky to determine the level of caffeine in different types of coffees. This makes it even more difficult to keep your caffeine consumption under the recommended limit of 300 mg in a day. There are several factors that can have an impact on the level of caffeine in a coffee cup. Perhaps, the most distinctive among these factors is the roast intensity; however, there are a number of other important factors to take into account. 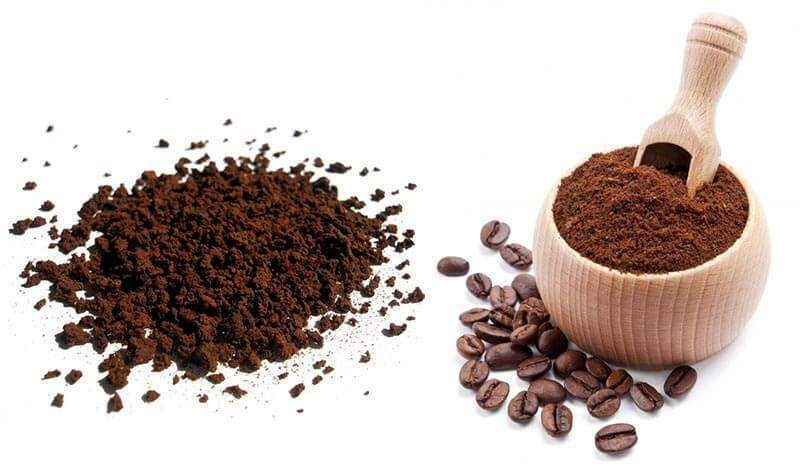 Caffeine content tends to vary between species and types of coffee beans and may depend on the location where coffee beans are grown, the method by which coffee is roasted and how it is prepared. All these different factors lead to variations in the level of caffeine between cups of coffee. According to the Mayo Clinic, even the same kind of coffee bought from the same shop may vary considerably in the level of caffeine from one day to the next. In case the coffee beans were ground in a different manner, or an additional scoop was poured in the coffee machine, it can lead to a significant fluctuation in the caffeine content. Whether you are looking for low or high caffeine levels, bear in mind that these factors can make a difference. When choosing whether to go for dark or light roast coffee, plenty of people tend to opt for the deeper and bolder flavor of dark roast coffee as they often believe that it contains more caffeine. However, this is not true. In fact, light roast coffee contains a much higher concentration of caffeine due to the fact that coffee beans themselves are the primary source of caffeine. The longer you roast the coffee beans, the more caffeine you will end up losing. This is one coffee myth that definitely needs to be debunked. The level of caffeine in a typical cup of coffee may fluctuate considerably based on the kind of coffee beans used. Robusta and Arabica are the two most commonly used coffee beans. Arabica beans are typically used in most coffee houses and are often considered premium quality. On the other hand, Robusta beans are often used in packaged coffee products and have a lower quality compared to Arabica beans. Robusta beans have a higher level of caffeine concentration compared to Arabica beans; however, the brewing and roasting process can affect the level of caffeine. Instant coffee has lower caffeine concentration as it has evolved into a swift dissolve formula. 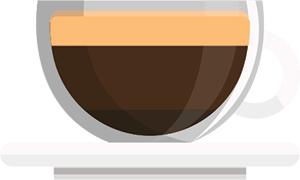 A cup of coffee, on average, has around 150 mg of caffeine when made using the drip method. However, when percolated, an average coffee cup contains about 80mg. In contrast, instant coffee usually contains 100 mg of caffeine in each cup, on average. Another factor that can have a direct impact on the caffeine content in coffee is the kind of brewing method used in the preparation of coffee. There are various different methods that can be used to prepare coffee. Some of them are regular brewing, French press, drip coffee, and espresso. 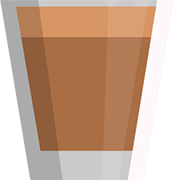 The general rule is that the longer the coffee stays in the brewing process, the higher the level of caffeine it will have. For example, if you prepare French press coffee, depending on your preference, the coffee can stay for a long or short interval of time in the brewing process before you pull the plunger. The longer the coffee stays in the brewing process, the higher the level of caffeine accumulation. Even in the case of espresso, you can experience fluctuation in the level of caffeine as you can brew espresso for a long or short period of time. Serving size also affects your caffeine consumption. To figure out the exact amount of caffeine you are taking in a cup of coffee, you should know the size of your coffee cup. Most coffee shops are known for their notoriously large cup sizes. These can easily go as high as 25 oz. The quantity of coffee in these large cups is equivalent to nearly 3 to 4 standard-sized coffee cups and this leads to a much higher caffeine intake. A number of commercial coffee brands often contain greater caffeine content compared to regular or home-brewed coffee. 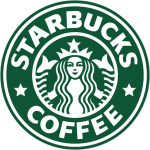 Moreover, a single espresso shot at Starbucks has about 70 mg of caffeine. Therefore, all small cups of espresso-based coffee drinks contain 70 mg of caffeine. 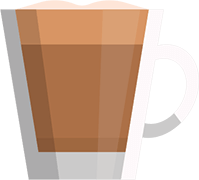 Some of these drinks include lattes, macchiatos, cappuccinos, and Americanos. Decaffeinated coffee from Starbucks has about 15 to 30 mg of caffeine, depending on the size of the cup. A single shot of espresso at Dunkin Donut contains about 75 mg of caffeine, and you can expect the same amount in their several espresso-based drinks. Decaffeinated coffee at Dunkin Donuts also contains some caffeine. According to a number of sources, a small coffee cup contains 53 mg of caffeine, while a large coffee cup has about 128 mg. This is almost the same level of caffeine as will you find in different types of regular coffee. The espresso drinks at McDonald’s has 70 mg of caffeine in each serving, and their decaf coffee contains about 8 to 14 mg, depending on the cup size. Caffeine was first discovered in 1819 in Germany. The word “caffeine” is from the German Kaffe (“coffee”). 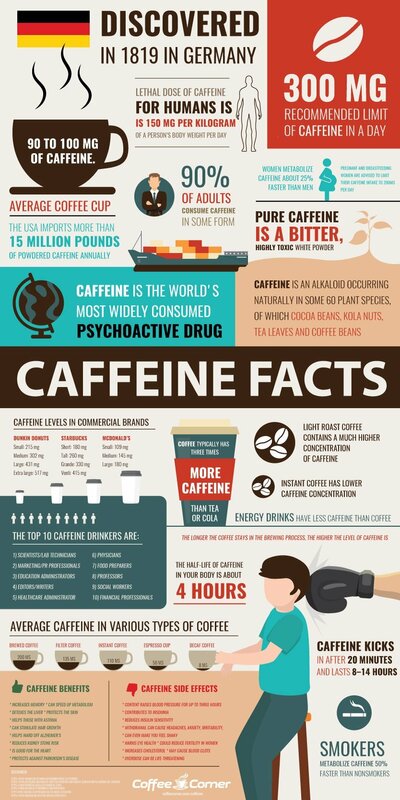 Caffeine is an alkaloid occurring naturally in some 60 plant species, of which cocoa beans, kola nuts, tea leaves and coffee beans. Caffeine is the world’s most widely consumed psychoactive drug. 90% of adults consume caffeine in some form. Pure caffeine is a bitter, highly toxic white powder. The USA imports more than 15 million pounds of powdered caffeine annually. Decaf coffee is not completely caffeine-free; it still has up to 15 mg of caffeine. The lethal dose of caffeine for humans is 150 mg per kilogram of a person’s body weight per day. Pregnant and breastfeeding women are advised to limit their caffeine intake to 200mg per day. Women metabolize caffeine about 25% faster than men. Light roast coffee contains a much higher concentration of caffeine. Instant coffee has a lower caffeine concentration. The longer the coffee stays in the brewing process, the higher the level of caffeine is. Coffee typically has three times more caffeine than tea or cola. Energy drinks have less caffeine than coffee. Caffeine is not addictive by accepted definitions and according to most authorities. Caffeine kicks in after 20 minutes and lasts 8–14 hours. The half-life of caffeine in your body is about 4 hours. Smokers metabolize caffeine at a rate of 50% faster than nonsmokers. There are pleasures in life which transcend discussions of benefits and drawbacks. One of these pleasures is hot coffee upon rising. But I wonder if different origins of coffee beans do have difference in Caffeine level too ? If most American Coffees come from South and Central America, my experience is that they give a stronger kick and I felt a bit jittery after consumption…feels different ! When I drink a South East Asian bean Coffee, like from Vietnam, Arabicas, there’s less kick from them, even their robusta doesnt give me a kick as high as say, the Colombian Arabica, and still less than an Indian Colabar ( Monsoon Robusta) espresso which notably raised my heartbeat ! Can someone do some testing, compare caffeine levels amongst coffee origins ? Many thanks. I am 65 years old, and used to work in the coffee industry. How to Make Coffee without a Coffee Maker? 18 Reasons Your Coffee Is Bad – How To Fix It? How To Clean A Coffee Maker? Decaffeinated Coffee – Good or Bad for You? Coffee lovers around the world yearn for a perfectly made cup of Irish coffee. Everything about this particular beverage is unique; the taste, texture, and the aroma. A short shot of espresso produced out of less water and finely ground beans is referred to as a ristretto. Now coffee fanatics must be wondering why anyone would want to order less coffee. As a coffee buff, what is your worst nightmare? It has to be the day where you wake up all groggy and without a dipper, brewer or any coffee maker to enjoy your daily supply of morning coffee. So, your coffee tastes bad? Maybe you just got a new coffee maker, or this is your first time with a new brand. Maybe you’ve never had the knack for making coffee to begin with. Cascara, which means the “peel” or “husk” is being used to prepare a delicious beverage. Cascara refers to the dried skin of coffee fruit that is removed when obtaining the beans. Top materials, premium mechanics, speed & dramatic look. Not something to hide away in the kitchen. Check the most expensive coffee machines. 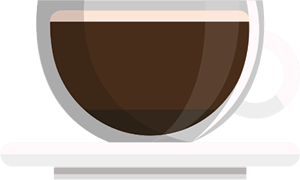 In Coffee Corner, I write about all things related to coffee and particularly coffee makers. After being a self-admitted coffee addict for 20 years and as an experienced barista I would consider myself pretty well-versed on the subject. 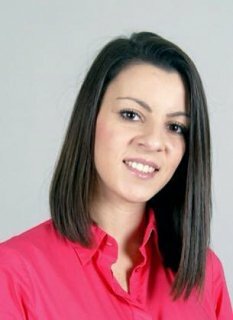 I will try to provide you as much information as possible about coffee makers and coffee in general, if you have any questions please don’t hesitate to contact us! Join our mailing list to receive the latest news and updates from Coffee Corner Magazine - freshly roasted with love! We respect your privacy and you can unsubscribe at any time!